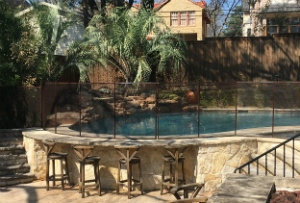 North Texas Pool Fence Installation - Servicing Dallas, Ft. Worth, Plano, Frisco and more. We service all of the Dallas/Fort Worth/North Texas areas, including Collin, Dallas, Denton, Ellis, Rockwall, Tarrant, and surrounding Counties. 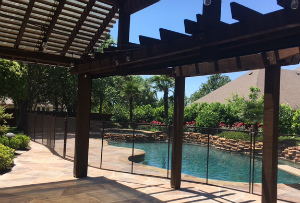 We believe that our products are superior to others on the market today, and can provide your family with the best sense of security around the pool. It’s because of this belief we provide you with the best solution for your pool at the lowest possible price – the first time. 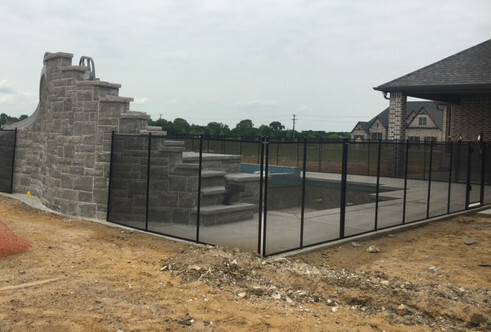 We provide you a custom barrier solution (fence/cover) for your pool safety needs, with the best product in the industry, backed by a Manufacturer’s LimitedLifetime Warranty. 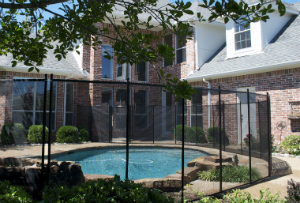 Our installer has over 4 years of experience and is a trained expert installing Pool Safety Fences and Pool Covers. Contact us now for a free, on site estimate. We believe our products, reputation, installation, and price will win your trust. Don’t give your child’s safety a second thought. I have only great things to say about the company, Leslie and her staff - if only more contractors were as considerate, responsive and helpful as she and her staff. Not only did she work with me prior to start of the project to meet my needs in the best possible way and at a good price, but she also went out of her to resolve some unexpected issues that arose after the work had started. 99% other contractors would have just left me on my own at that point. I am so pleased with the work that i am willing to provide a personal reference to anyone looking to use the company's services. Pool Guard, thank you! Thank You! You have given this mama some peace of mind! The install looks great and my kiddo seems to enjoy the view. Top notch service and the highest quality. I'll recommend this company to everybody looking! Leslie [Pool Guard DFW] was awesome. She had multiple recommendations so we could choose the right one for our family and our budget. 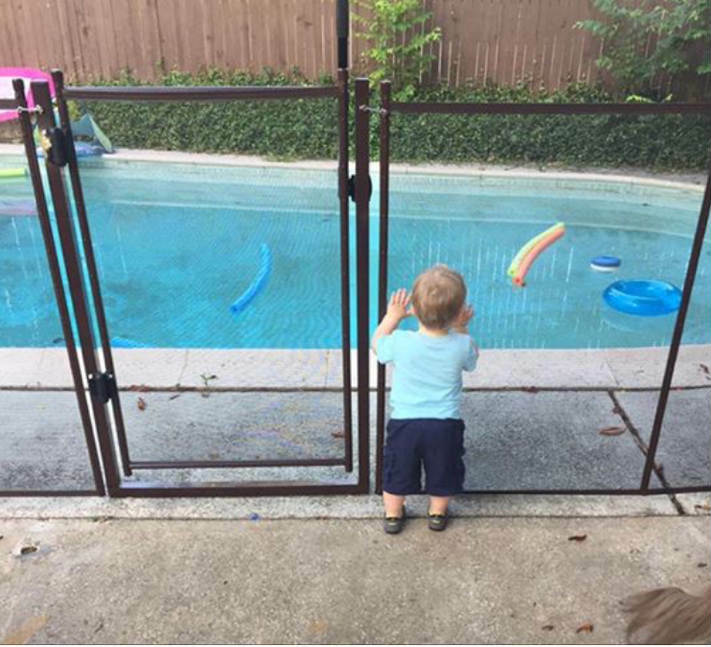 She was able to schedule is very quickly, as we were nervous about living in a house with a pool too long before getting the fence up. The installer was punctual and professional. He worked very quickly and was eager to walk me through all of my questions about the install. He spent a good deal of time showing me how to remove the sections of fencing for the gardeners and he didn't leave until I was really comfortable doing it on my own. He even offered to come back to pour concrete for the posts that were in the grass if we decided to put gravel there. Overall excellent service. 350 children under the age of five drown in pools each year nationwide. Don't let this happen to you.